Love is the only healer that there is. Your true teacher is your own Higher Holy Spirit Self. All healing is at the level of the mind. In Counseling Sessions – we are the “two or more who are gathered in the name and the nature of the Christ Presence” and this is what activates the flow of Love which is the healer. In order to have a true and lasting healing, you must be willing to change your mind. With assistance and support it can be easier and more FUN! To schedule a Spiritual Counseling session with Jennifer, please click and purchase the desired session length. You will receive an e-mail with further instructions on how to schedule your appointment. If you have any questions, please contact admin@jenniferhadley.com. If you are a Finding Freedom or Masterful Living member, the discounted members link will be visible in your members area. All phone sessions are recorded and you receive a link to download MP3 – you can listen to this over and over again to assist you in making the most of your session. Trained as a Minister & Science of Mind Practitioner and Spiritual Counselor by Michael Beckwith at the Agape International Spiritual Center in Los Angeles, Jennifer has been in private practice as a Spiritual Therapist since 2000. 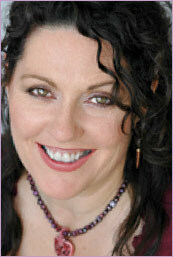 She is available for private spiritual counseling by appointment in person or on the phone. As an Intuitive Spiritual Therapist, Jennifer employs her considerable intuitive skills and knowledge of spiritual principle to assist the client in releasing beliefs and patterns that no longer serve. Jennifer is an avid student of A Course in Miracles & Religious Science. Rather than focusing on the past and how the “problem” was created, her spiritual approach is focused on “where do you want to GO and who do you have to BE in order to get there.” Using this thinking, you’re able to have a spiritual healing and take a quantum leap, healing the past and creating a new future. A Spiritual Counselor offers counseling/therapy sessions similar to a traditional therapist. In the session, we work with you to set a strong intention for healing, expansion and clarity in order for the release of limiting beliefs and painful experiences. Rather than focusing on the past and how you got to the present moment, we support you in being clear about where you’d like to go and how you will get there. In keeping our attention on the healing and changes that you desire for your life, relationships, body, finances, creativity, career and more, we are able to support you in identifying the root causes of the things you’d like to change in your life. By focusing on healing the root cause of all issues, and discovering what’s needed emotionally and mentally for you to live the life you desire, we bring transformation, and relief – often with what can sometimes feel like miraculous results. We believe you can live the life you desire, even if you do not. 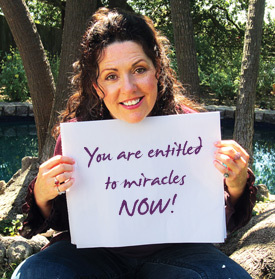 We believe you can live a truly miraculous life. Together, we are the two or more who are gathered in the name and nature of Love. Love is our true nature, and Love heals all wounds. We are here to show you how to heal the past and live a life of Love now. It’s our strong intention to aid you in having a healing so pervasive that you never experience the issues again. When your strong intention to transform and transcend limiting beliefs joins with our strong intention for deep healing, we are in the place where transmutation and miracles happen! Our work is transdenominational, and is beyond the realm of religion. All faiths are welcomed.